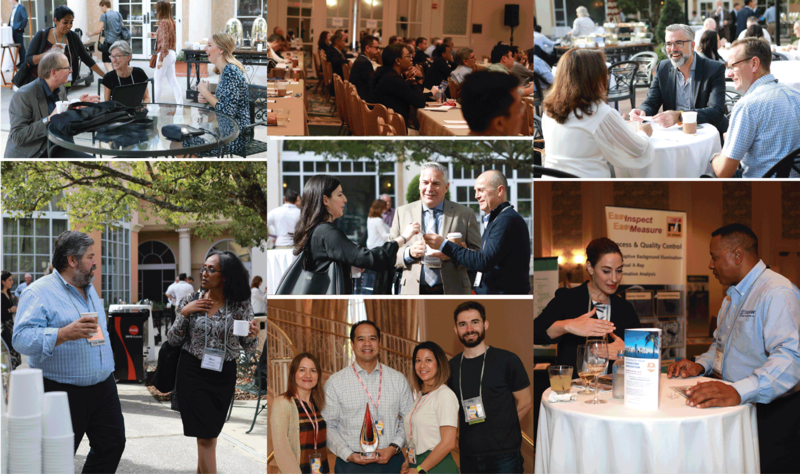 November 14, 2018 – Cary, NC – Over 500 absorbent hygiene and personal care professionals from over 24 countries and throughout the supply chain participated in INDA’s fourth edition of Hygienix ­– the premier event for absorbent hygiene & personal care markets – held in Orlando, Florida, Nov. 5-8. “Having attended 100’s of health care and medical device trade shows over my last 25 years as a vendor and attendee, I found last week’s Hygienix Conference in Orlando to be extremely well-organized, efficient, comfortable, informative, and productive in a compressed venue of events. This was my first INDA conference, but not my last!” said Palmer Dinkel, Vice President, G& G Medical Products, LLC. An event highlight was the presentation of INDA’s coveted Hygienix Innovation Award™ to Callaly Tampliner®, an organic cotton tampon with a built-in mini-liner with a patented virtual applicator for clean insertion, removal and protection against leaks. “We’re honored and excited that our Tampliner® won this year’s Hygienix Innovation Award. It’s a real achievement for a start-up working to improve product choice in the Femcare industry. We’re privileged to be recognized by such a supportive and forward-thinking industry body and we thank INDA – and the wider industry – for welcoming our product so enthusiastically,” said Thang Vo-Ta, Co-founder and CEO of Callaly. Other finalists for the award were Avgol Nonwovens for BeneFIT™ Control, a next generation antimicrobial solution for absorbent hygiene, and Bostik for Brilliance™, the world’s first high-performance polyolefin-based elastic attachment adhesive. The Hygienix Conference presented the 2018 INDA Lifetime Technical Award to Ralph Moody, PE, Senior Director of R&D, Berry Global, Inc. for his long established technical career and key innovations in the nonwovens industry. Hygienix 2019 will be held Nov 11-14, in Houston, Texas.